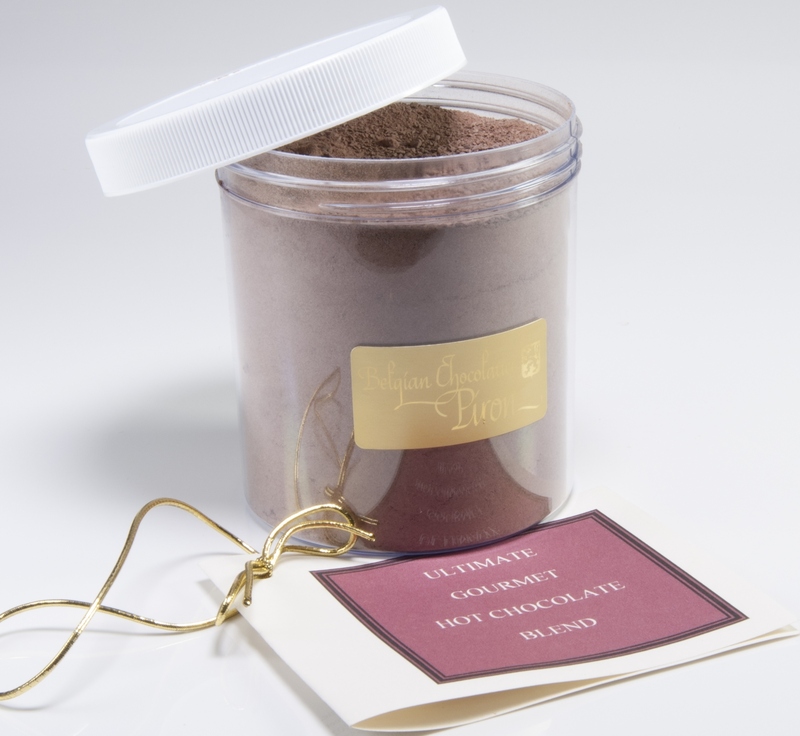 Ultimate Hot Chocolate Blend | Bars, Blends, Spreads and Caramel | Online Store | Belgian Chocolatier Piron, Inc. Check the weather in Chicago and your gifts destination city. If above 65 degrees F. please purchase an insulated container and a shipping option that does not exceed 2 days. Chocolate melts! Our chocolates do not include any preservatives or stabilizers, they will be liquid at 80 degrees F. It is important to take extra shipping precautions during this time, which includes choosing a shipping service that takes 2 days or less to arrive at it’s destination. The ice packs will last up to maximum of 2 days in transit. If you are shipping multiple items to a single address, please call us at 847-864-5504 or email us at belgchocpiron@sbcglobal.net to insure you are provided the most effective and cost-efficient shipping container and rates. Pure passion in a jar. Steep chocolate blend gently with warm milk, top with fresh whipped cream, and be transported back in time. Our 16 oz. jar will make 6 steaming mugs of deliciousness! Best Handmade Belgian Chocolates made fresh in north suburban Chicago since 1983. Truffles, Gift Boxes, Weddings, Favors, Custom and Corporate Gifts in Evanston, Illinois. Chicago's Best Chocolate!